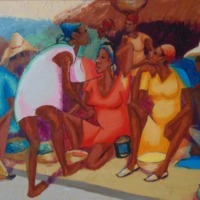 Simeon Michel the master of the “Flamboyant” began to draw at an early age. 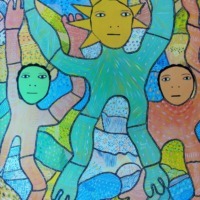 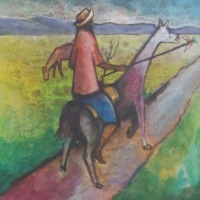 He developed his own style and used colors that made him instantly recognizable by collectors all over the world. He claims that painting, to him is more than a passion, it’s a madness. 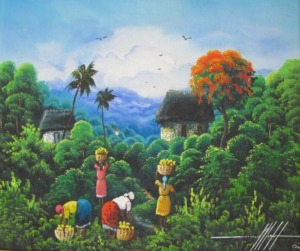 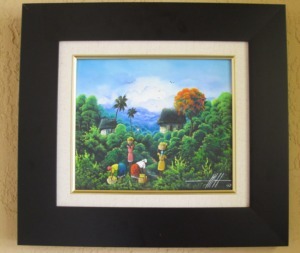 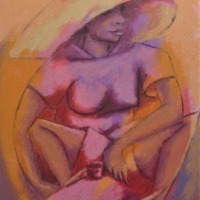 His paintings depict the Haitian countryside and remind us of the French “impressionistic” style. Simeon is by no doubt, an excellent choice for any collector.